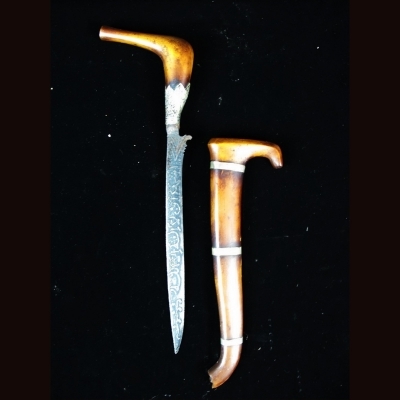 The rencong or renchong is a pistol-gripped knife created by the Minangkabau who originated in West Sumatra. It is popularly known as tumbuk lada (or tumbuak lado in the Minangkabau language), meaning "pepper crusher". The blade is decorated with jawi wording . In terms of social stature, the rencong is in Minang culture comparable to the kris in other parts of Maritime Southeast Asia.